I can't think of a period in my lifetime when I haven't answered the question, "What is your favorite vegetable?" with anything other than spinach! I have always loved spinach. I buy the big bag of fresh spinach weekly to use in both raw (salads) and cooked meals. 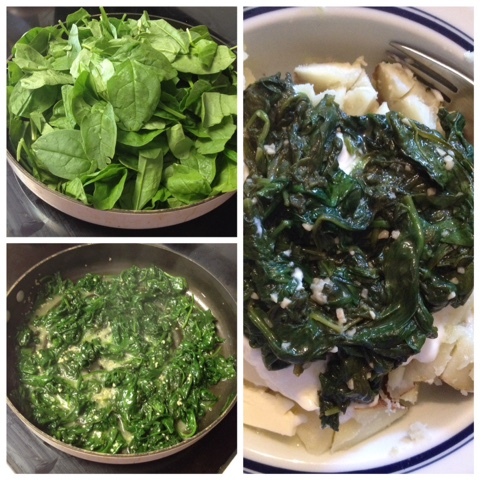 But by far one of the easiest is to simply sauté the spinach in a little olive oil with some added minced garlic towards the end (salt and pepper to taste at the very end). I love this as a side dish but it's extra awesome on top of a baked potato. It turns a quick single girl meal up a notch!